There seems to be an air of complacency in the Labour Party now that opinion polls show the Conservatives on 33% and Labour on 44%. On top of this it is seen that the Liberal Party have lost their vote so their support will come to Labour. This could lead some people to take it easy and relax as Labour cruises to victory like Usain Bolt in a preliminary round of the 100 metres. But this would forget the fact that 90% of the media is Tory and that Lord Ashcroft can pump in millions to get posters up throwing mud at Ed Miliband (just as he did to Gordon Brown as seen in the picture right). It also forgets the experience of 1992 when it seemed certain that Neil Kinnock would win but a combination of bad publicity and a prematurely triumphant campaign led to another term of John Major. The Conservative Party not only has more money to spend on campaigning but also employs more expensive campaigning organisations. The London Mayoral election was a clear example of this. Ken Livingstone's campaigners would have people delivering leaflets showing how Ken could cut fares and Boris would already have a spoiler leaflet being delivered to the same commuters. With the advantage of having this organisation and the support of the Evening Standard it was incredible that Ken did so well. It is clear to me that the only way to improve Labour's position for the General Election is to start working now on the grassroots because that's where we hold an advantage. Tory membership is dwindling. But we must start working on this now, not just a few months before the election. Stand up for Labour started in Brentford and Isleworth Constituency, which is a key marginal. There have been three events in the past year and the plan is to keep up this momentum with a comedy and speaker night every three months. With the asssociated visual presence of posters in shop windows, cab offices and launderettes, plus local media coverage it shows that Labour is doing something outside elections. And it also attracts new people who were not playing an active role to consider doing so. The first two events attracted under 100 people, but this grew to nearly 200 people in July. If this pattern were to be repeated in other constituencies across the country it would be possible to build a network of comedians, local parties, unions, senior politicians and union leaders. This would make it possible to produce a Stand up for Labour festival in 2014 and 2015, which would be a major morale booster for the whole party before the General Election. 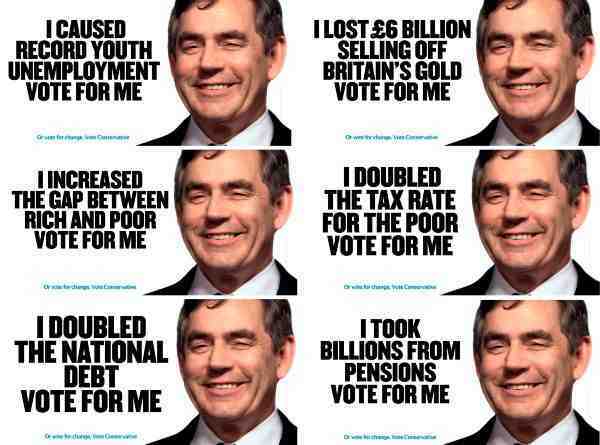 And it would all have been done at the grassroots, not by a poster campaign drawn up in a few weeks.